Conveniently situated within the confines of South Africa, Lesotho is easily accessible from Johannesburg Airport, and as it is just a short hop from major attractions such as Kruger National Park and Cape Town, it combines perfectly with a safari, city break, or even South Africa’s most iconic sportive – the Cape Town Cycle Tour! 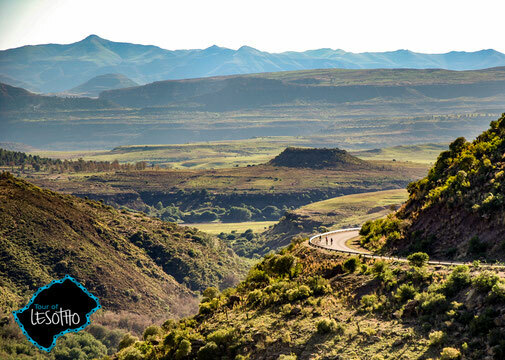 If you have already tackled Europe’s most demanding mountain passes and find yourself looking for a greater challenge, the brand-new Bicycle Beyond Road Cycling Tour of Lesotho could be the perfect choice for your next cycling adventure. Taking you to the heart of Africa’s Mountain Kingdom, this magnificent 7-night road cycling holiday is based on the iconic Tour of Lesotho and includes more than a few knee-trembling challenges. You’ll stay in locally owned accommodations, interact with local people, and cycle soaring mountain passes that few international cyclists have ever cycled before.